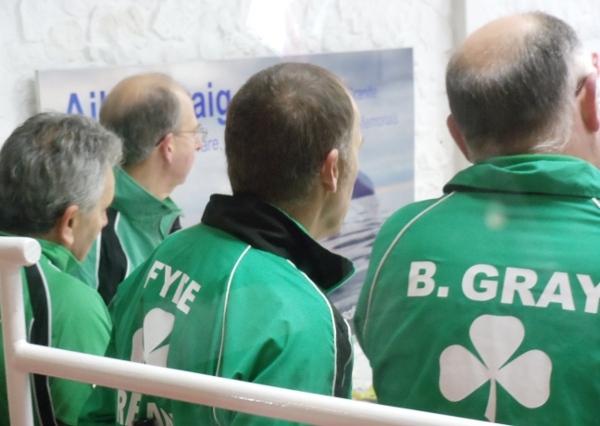 Ireland were beaten by Russia 7 – 5 this morning and will not be going through to the quarter finals. The team line up was: Bill gray, Neil Fyfe, David Whyte and Tony Teirney. Ultimately after the score lying 5 all but Russia with the hammer in the final end, the team looked on as Sergey Korolenko took out Bill’s last stone to take 2 for the win.